We offer free no obligation hearing tests, all styles and brands of hearing aids, which comes with every thing you need including follow up appointments, batteries, manufacturer warranty as well as loss and damage warranty. Call us at 905-420-1616 to book your appointment and find out about our current promotion. As your CARP recommended hearing aid provider, we are available to attend and speak at local health and wellness exhibits, chapter meetings and retirement homes. Call us today to find out more. We are located at 1848 Liverpool Road, suite 8 on the north west corner of Liverpool and Kingston Rd, across the street from the McDonalds and in the same plaza as the National Bank and The Bear. Our hearing center in Pickering, ON offers no cost hearing tests by a certified hearing healthcare professional. We carry an affordable, broad selection of brand-name, digital hearing aids and assistive listening devices. Hearing aids at HearingLife (formerly ListenUP! Canada) come with our exclusive Expert Care Guarantee, which includes everything you need for three years, even the batteries, lowest price and satisfaction guaranteed. Kerwin graduated from the Hearing Instrument Specialist Program with honours from George Brown College in 2016. He started his career at HearingLife and has been practicing with them for over 2 years now. 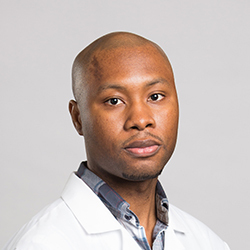 Kerwin got into the Hearing Instrument Specialist field due to his curiosity and subsequent interest stemming from experiences and annual appointments with the ENT involving regular cerumen management. Collegues and clients of HearingLife would describe him as committed (to ensuring patients receive the correct quality of care/treatment), customer-oriented (as he takes pride in hearing and meeting patient needs), thorough (in explaining hearing test results and recommendations of selected devices), patient (making sure patients have the time needed to feel comfortable in using their devices) and lastly empathetic (towards the needs and concerns in which patients report and display). Nicole Andrews has worked for HearingLife (formerly ListenUP! Canada) since June 2011 as a Hearing Professional. As a member of the HearingLife (formerly ListenUP! 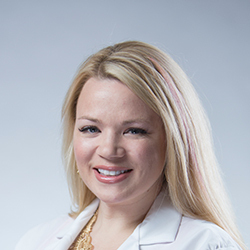 Canada) team she has worked at various clinics across the GTA with the primary focus in the Durham Region. Her interest in Audiology started at very young age as her younger brother was born profoundly deaf. Nicole have seen the value of audiological care in her brothers life and strives to provide that quality of care to patients on a daily basis.